But in the rush to use the term too cavalierly, let’s not lose the deeper meaning of the word, and in turn, the impact a truly authentic person can make. That person whose life we reflect on today is Muhammad Ali and his passing gives us reason to examine the authentic life of a sporting icon who personified the meaning of the power of sport. Authenticity means that you are looking to make a real impact and develop deeper relationships to advance social and community change. Authenticity allows us to build meaningful relationships when we engage with communities around the world. Through authenticity we can move beyond lip service and one-time appearances, and create sustainable relationships that make a difference in the world. Authenticity in sport means that you demand and work to foster a safe and supportive environment to realise your true self while helping others in your sporting realm including teammates, coaches, and sport administrators do the same. Authenticity in sport means that you can express yourself and share your ideas and beliefs with the world. This is how Muhammad Ali lived. 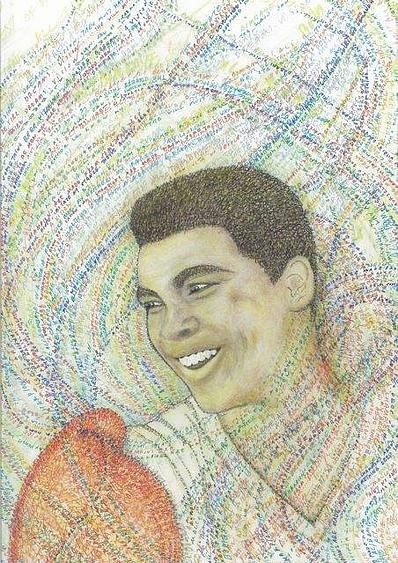 “Muhammad Ali was known as “the Greatest” not just because of his three World Heavyweight titles, but because he fought some of his fiercest battles outside the boxing ring, on the side of the disenfranchised, the downtrodden and the disadvantaged. Muhammad Ali will continue to inspire generations to come to take up the fight against prejudice, injustice and discrimination. This, perhaps, will be his greatest legacy.” – Kofi Annan. Through his authenticity, Muhammad Ali was able to activate the power of sport. He recognised his platform and brought authenticity to his message and his actions. We need to encourage more authenticity in sport. Muhammad Ali will continue to be a guiding light for the world both in and out of sport. He is an example for athletes and non-athletes alike. Speaking truth to power as Ali so eloquently did, should be hailed and celebrated. How can we inspire more engagement and authenticity in sport? How can we continue to advance the power of sport into all corners of the world? It is important that we give permission and continue to create a culture of social justice and social change through sport. This can be fostered and led by athletes, coaches, and sport administrators and aided by organizations dedicated to using sport to promote social good, including the Muhammad Ali Center in Louisville, Kentucky. Encouraging athletes to follow their dreams and passions must be seen as an asset. Athlete activists who speak out against injustice and promote inclusion benefit not only themselves but also their teammates, sport organizations, and the greater community. So how can we realize and recognize what activates the power of sport and what components are needed to stimulate and foster the power of sport in communities around the world? In our view, authenticity is at the top of the list. We see authenticity as a critical factor for success in leveraging the power of sport for social change. Other elements that work toward activating the power of sport are related to authenticity and include connection, emotion, joy, inspiration, beauty, and hope. The convergence of these elements encourages individuals to use the power of sport as a platform to promote positive social change. We could not agree more. Thank you, Muhammad Ali, for your truly authentic life, an example to the world. You first used the power of your fists in the ring, and later used their power for peace and justice. You will forever personify the power of sport. Eli A. Wolff is the Director of the Sport and Development Project at Brown University, as well as the Director of Power of Sport, a platform to fuel and magnify the power of sport movement.